Hyundai Creta is the largest selling SUV in the market. It has sold more than 14,000 units since its launch a couple of months back. 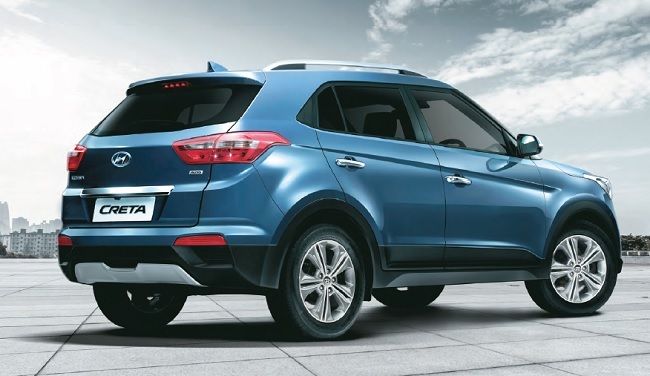 There is no slowdown in the bookings the Hyundai Creta is receiving, which has prompted the Hyundai management to increase the production to 9,000 units. The company has received more than 55,000 bookings in less than 75 days, leading to waiting periods stretching up to six months. The Korean carmaker initially planned on manufacturing 5,000 units monthly of the Creta, but the strong demand led to increasing the capacity to 7,500 units last month. With the company still not being able to reduce the booking periods, a decision regarding increase in production was taken. In an interview with The Hindu Businessline, Bo Shin Seo, MD and CEO, Hyundai Motor India Ltd., stated that the company has decided on increasing the monthly production volume of the Hyundai Creta and Elite i20 due to the strong demand from the existing 7,000 units each to 9,000 – 10,000 units each from December. He also said that the production will see increments of around 2,000 units every month from then on. Seeing such high demand, the company also increased the prices in the range of 10,000- 20,000 depending on the variant you choose. 2015 Hyundai Creta is available in three engine options – a 1.6-litre gamma dual VTVT petrol, a 1.4-litre U2 CRDi diesel and 1.6-litre CRDi diesel. The 1.6-litre, 4-cylinder Gamma Dual VTVT petrol engine will give a total power output of 123bhp and 154Nm of maximum torque.The 1.4litre U2 CRDi diesel engine churns out 90bhp and maximum torque of 224 Nm, while the 1.6litre U2 CRDi diesel oil burner gives the maximum grunt with figures of 128bhp and 265Nm of torque. Hyundai is offering two transmissions: six-speed manual and a six-speed automatic.